When I read an analysis of Environmental Canada’s regulation proposal that suggests a list of recommended and authorized oil spill treating agents be kept, I was appalled at the rationale used for justifying chemical dispersants as best-in-class oil spill response agents! 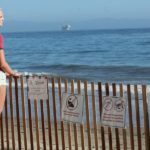 Their proposed regulation included language that pre-approved and listed Corexit 9500 oil spill dispersant and 9580 a surface washing agent. These chemicals have clearly proven to be lethal to marine life and make people sick-they penetrate and move up the food chain. Canada has a problem right now because they are stepping up deep water drilling on their Atlantic coast and several major oil companies are asking for approval on spill-counter-measure plans that allow for chemical dispersant use in the event of a spill. In support of industry and their economy, the Environmental Ministry is lifting their ban against the application of toxic spill clean up agents in their ocean territory in support of deep water drilling off the coast of Nova Scotia. Needless to say, we had to submit an official comment listing better oil spill clean up solutions! Below is a download link to a copy of our submission letter which you may find of interest. Thank you for this opportunity to comment on your proposed regulations establishing a list of spill-treating agents (STAs) under the Canada Oil and Gas Operations Act and other acts as amended by the Canada Energy Safety and Security Act of 2015. Since the Deepwater Horizon disaster in the Gulf of Mexico, the Lawrence Anthony Earth Organization (LAEO), a non-profit conservation alliance and its Science and Technology team have worked to find a fix for our broken oil spill response system. We are also doing research work in Canada. As covered in our research paper, A Call for a Twenty-First-Century Solution in Oil Spill Response, we have identified oil spill response system flaws (which includes de-facto favoritism paid to lethal chemical dispersants) such as encouragement of OSRO dispersant stockpiling and a strong U.S. federal agency (EPA/NRT) push for preauthorization of these chemicals. We also assessed and identified a unique and effective spill clean up technology – Bioremediation Enzyme-Additive Agent as it is categorized on the U.S. NCP list – that eliminates any need for dispersant use while effectively remediating a spill. Canada should not follow suit with the U.S and perpetuate its failed spill response plans and chemical dispersant policy and advocacy. We would like to first address Environment Canada’s Impact Analysis Summary. Our comments contain quotes from your impact analysis in italics with LAEO comments in blue font. The standards and expectations of STAs described as mitigating agents should also reflect standards and methods of spill response that function to REMOVE a spill from the environment, not, merely to mitigate. Lawrence Anthony Earth Organization’s Science and Technology Committed has vetted U.S. EPA product schedule STAs to locate those that meet Clean Water Act standards mandating complete removal of a spill. Please see our publication: Optimizing Oil Spill – Identification and Assessment Methods for Contingency Planning. This statement of conditions in which legal prohibitions would be lifted makes an assumption that the STA’s on the Minister of Environment list have been examined and qualified for offshore use. Legal prohibitions that are lifted until regulations are fully developed could lead to lowered environmental protections, not stronger. Assuming that use will be acute effect only is a presumption that cannot be adopted, nor should it be supported by any regulation. Studies on Corexits definitely indicate persistent lingering plumes of the oil/Corexit mixtures that settle down to the ocean floor and persist for decades. 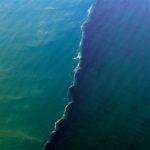 Currents, storms and other conditions transfer this toxic mix keeping the spill in a state where it continues to impact marine life and other organisms that come into contact with it. Any STA Acute Toxicity Test must include measuring alone and in combination with crude oil likely to be spilled in a given environment. Unless measured as a chemical mix with oil,stand-alone toxicity measures do not reflect real spill conditions. Please provide a copy of Environmental Canada’s Scientific Evaluations mentioned above. Any evaluation based on scientific assessment must be cited with all supporting documentation that your decision to list Corexit 9500 and 9580 as best-in-class has been based on. The footnote cited under this statement is from a 2002 study that doesn’t take into account many later studies and contrary research done post 2010 DWH Macondo blow out. Naming specific brands of dispersants in regulations is flawed and demonstrates industry influence and biased positioning for a specific brand of spill clean up agents when other like-products and/or other agent classes are excluded. For instance even during the 2010 BP spill, the U.S. EPA ordered the responsible party (BP) to use a less toxic chemical dispersant recognizing Corexit 9527 was not the least toxic. This research indicated less toxic chemical dispersants were in fact available and listed on the U.S. NCP list, but these were not selected because of insufficient quantities stockpiled for the size of the Macondo spill response requirements. This suggests less toxic dispersants exist, yet have not been identified or evaluated by Environment Canada. The Canada STA list must be a reflection of science-based vetting, validation and adjudication procedures protocoled on established and consistent efficacy and toxicity measurement standards for any agent listed. Pre-screening and listing the Corexits when a complete assessment of best available agents on the market does not appear to have been done or even attempted here, undermines the intent of Clean Water Act law and regulatory provisions. All listed competing products/agents should receive equal assessment and grading criteria. This will as well provide a transparent side-by-side comparison incentivizing innovation, improved efficacy and toxicity scores giving greater environmental protections. Best-in-class or any other similar designation would be relative to class of agent, purpose of agent, end result of agent giving transparent comparisons for decision makers and other merit indicators. Note: Mandating ‘real spill condition information’ for a product to be listed and adjudicated as “best in class”, will exclude or, at best, make it very difficult for new technologies/ innovative spill response solutions and systems from accessing the network of clean up contractors and discourage inclusion in spill contingency plans by industry unless identified as ‘pre approved’ by Environment Canada. If real spill conditions are required, then testing and monitoring of eligible products should be allowed for and facilitated under controlled conditions by Environment Canada including providing open water mesocosm environments for identifying best in class agents. An exact path/process for a manufacturer to get a product evaluated by Environment Canada for inclusion on the STA list and in contingency plans must be specified in this regulation. How does an STA get the attention of Environment Canada and how does it get evaluated? How do existing studies, scientific documentation etc. get submitted and actually reviewed? If no opportunity for use on a real spill unless listed, how would a potential agent get consideration? This would need to be established or no advancement in the field will take place. Note also, Class of STA within the context of an overall spill response plan should represent a plan that results in complete removal of a spill, and if an STA does not contribute to the complete removal of pollutants in the environment, Net Environmental Benefit is questionable and will always be in doubt. Dispersants as a Class of Agent break up and sink oil into the water column, albeit smaller droplets, but this doesn’t remove oil from the environment – and further, dispersion makes it virtually impossible to mechanically remove once dispersants are applied. Studies and records indicate dispersed oil remains in the environment for decades. Further, LAEO concurs with Dr. Riki Ott and the Alert Project’s Public Comment along with WWF’s Public Comment submitted to you regards Corexit. The citations in these submissions are critically important and directly supportive that the listing and use of named Corexit agents have uncertain impacts; hence they do not belong on Environmental Canada’s STA list until such time that environmental impacts have scientific certainty. “Merv Fingas, former Chief of the Emergencies Science Division of Environment Canada and internationally renowned expert on dispersants and other “spill-treating agent” (STA) products, recently wrote an extensive review of recent literature on dispersant use in marine oil spill response. According to Fingas, there are three primary motives for using oil spill dispersants: to reduce the impact of oil on shorelines; to reduce the impact on birds and mammals on the water surface; and to promote biodegradation of oil in the water column. Further, according to Fingas and other supporting evidence, these motives have proven to be largely invalid, based on ongoing evidence from the BP DWH disaster, in which at least 7 million litres (1.84 million gallons) of Corexit dispersants were applied, including Corexit 9500A and 9580A. “As for mitigating impacts by promoting biodegradation in the water column through formation of smaller oil droplets, this has proven to be more theory than science. According to Fingas, “one-third of the studies noted inhibition of oil biodegradation, about one-third noted acceleration, and about one-third noted that the rates were the same…”  One study post-BP DWH disaster found Corexit EC9500A inhibited biodegradation, as the surfactants were toxic to beneficial oil-eating bacteria. While some studies show that dispersants may facilitate degradation of simple hydrocarbons like alkanes, dispersants do not increase the biodegradation rate of the more toxic and complex aromatic hydrocarbons, specifically the PAHs. On the whole, it seems that biodegradation of oil is best left to nature or biological agents, not chemical agents. We see no need to reiterate the material contained in the Alert Project, WWF and other submitted comments. The Lawrence Anthony Earth Organization most strongly advocates that instead of millions of tax payer dollars spent on dispersant studies, monitoring, etc., said rule changes should lead to equal scientific resources and effort being applied to identifying safe and non-toxic oil spill cleanup technologies to replace those with undesirable trade offs that are ineffective at removing toxic and other harmful elements of a spill. Any list of STAs should be a living document that reflects best available technology and science with mechanisms in place to incentivize this. Further, the Canada STA list should be viewed as part of an integrated system with inter-related tools. It should not leave open questions about agents it lists and critical adjudications of what response method is appropriate for use on a given spill. This places full responsibility on unqualified decision-makers operating in high-stress emergency conditions. Looking at a response method in a single view without regard to how these chemical and biological agents work within an integrated system is problematic as well as dangerous. Below is Appendix I containing LAEO’s submitted comments to U.S. EPA that are likewise applicable to Canada’s proposed STA list management. The Lawrence Anthony Earth Organization is interested in collaborating with Environment Canada to examine the biological agent class – Bioremediation Enzyme Additive Category/Class as an effective first response agent for open water spills and viable replacement for chemical dispersants. In this way, efforts can be towards examining all product classes for STA listing and bring constructive improvements and environmental protections for Canada as deep-water drilling projects expand. We will send a formal request for such a project to commence separately. French, John, 2013, How do oil dispersants work as oil spill response counter measures?, presentation at the 6th annual Northwestern Tribal Water Rights Conference hosted by the Center for Water Advocacy, Anchorage, Alaska, October 2013. Peterson, Charles, et al., “Long-term Ecosystem Responses to the Exxon Valdez Oil Spill,” 2003; 302:2082–2086. Ott, Riki, 2004, Sound Truth and Corporate Myths: The Legacy of the Exxon Valdez Oil Spill (Dragonfly Sisters Press, Cordova, AK). Burns and Harbut, Gulf Oil Spill Hazards. Fern, R., 2013, Acute toxicity of three alone and in combination with crude oil on Callinectus sapidus megalopae, 2013 Gulf of Mexico oil spill & ecosystem science conference, Jan. 21–23, 2013, New Orleans, LA. Fingas, 2014, Dispersant literature review. Laramore, S., 2013, Acute and sublethal impacts of MC252 oil and dispersants on early life stages of Crassostrea virginica, 2013 Gulf of Mexico oil spill & ecosystem science conference, Jan. 21–23, 2013, New Orleans, LA. Schleifstein, Mark, 2015, Study associates 3-year pattern of Gulf of Mexico bottlenose dolphin deaths with BP oil spill, NOLA.com/The Times-Picayune, Feb. 12, 2015. Fingas, 2014, Dispersant literature review, quote on p. vii. Hamdan, Leila, and Preston Fulmer, “Effects of COREXIT® EC9500A on bacteria from a beach oiled by the Deepwater Horizon spill,” Aquatic Microbial Ecology, 2011; 63:101-109. Wilcock, R., et al., “Persistence of polycyclic aromatic compounds of different molecular size and water solubility in surficial sediment of an intertidal sandflat,” Environmental Toxicology and Chemistry, 1996; 15:670-676. Corexit® EC9500A is highly effective in laboratory performance screening tests and was determined to be “practically non-toxic” (see footnote 6) by international standards in aquatic toxicity tests. The individual ingredients are not found on Schedule 1 of CEPA 1999. This surface-washing agent is suitable as a hard-surface cleaner on shorelines and man-made structures. It has been the subject of considerable study in the laboratory, in field trials, and in response to spill emergencies such as the Morris J. Berman spill in 1994 in Puerto Rico. It has been available in the global marketplace for many years and is listed for possible use in the United States. Corexit® EC9580A is highly effective in laboratory performance screening tests and was determined to be “non-toxic” (see footnote 7) by international standards in aquatic toxicity” tests. The individual ingredients are not found on Schedule 1 of CEPA 1999. Excellent description of the overall scene, Diane. I only hope that the thoroughness of this detailed document doesn’t prevent the relevant readers from really reading it. Your courage and determination and willingness to get the word into the hands that can do something about the situation is very very much appreciated.